Leading figures from the motion engineering and automation industries were asked to look forward to the next 30 years in Drives & Controls magazine’s 30th anniversary supplement. This informative 50 page supplement discussed advances in components, materials and initiatives such as Industry 4.0 and II0T and along with 3D printing, cobots and much, much more. 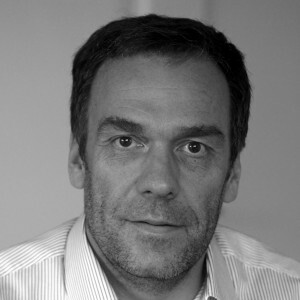 Ernst Blumer the marketing director of NTI (LinMot) contributed by reviewing the relevant technical advances, which when added to decreasing prices and the increasing variety of products is leading to a rapid increase of applications for linear motor technology. The full article (along with the other contributions) is available on the link above but I have picked out some of the key themes of Ernst’s article below. What’s driving the rapid increase in applications for linear motors? Increased efficiency, the increased variety of products optimised for different applications and lower prices have opened up a profusion of new applications for linear motors. In many applications induction motors are substituted by servomotors due better performance and energy efficiency. More and more traditional motor-gearbox combinations are replaced by direct drives for high dynamic, higher precision and longer life. Due to the higher efficiency, higher flexibility, lower energy costs, reduced contamination and lower maintenance costs more and more pneumatic cylinders are being replaced by electric actuators. The biggest improvements in the last 5-10 years have been made in the control systems and the integration of electric actuators. Faster bus systems such as industrial Ethernet and real time communication makes the use of electric actuators simpler. Servo systems require a lot of fast communication and exchange of real time data between the drive and the overlaid machine control. The bus was always the bottleneck in these systems but now with the much higher data rates and real time capacity of industrial Ethernet, the integration and the use of electric actuators has become much easier. The need for new machines is driven by changing consumer trends while more stringent requirements and the need to consider total cost of ownership (TCO) are driving changes to machine design and the incorporation of linear motor technology. Consumer trends are driving the design of innovative machines for new markets. One example already discussed in this blog is the growing need for automation in the fish industry as worldwide fish consumption continues to increase. Today we already have a high degree of automation in plants and production/packaging lines for meat and sausage production but the requirements for automation in fish farms, the preparation of the fish and the packaging is completely different. One example of the innovative machines developed for this market is the automated vaccination machines for fish. Another market trend in the food and beverage sector is the fact that consumers want to reduce their sugar consumption. The concentration of sugar in food and drinks is decreasing. Sugar is not only added to make the products sweeter, but also helps to conserve the products. Therefore, new machines to fill or pack reduced sugar products have higher demands regarding the hygienic standards and design and must be cleaned more often. In many applications with highly concentrated cleaning detergents or with high temperature cleaning cycles (overheated steam). During the last few years, manufacturers of electric actuators have started to offer stainless steel actuators with hygienic design and high protection rates up to IP69K. Production processes and producers are increasingly subject to regulations and/or higher demands regarding quality control and traceability from their customers. As a result, machine builders have to implement more and more quality control and production tracing capability into their existing machines. This includes more and more detailed production data from each single product produced on the machine. While years ago it was sufficient to verify product quality taking regular sample probes, nowadays customer increasingly require detailed production information about all the production steps for each single product. One example is capping machines. In the first generation machines, the capping process was completely mechanical (linear cam and magnetic coupling). 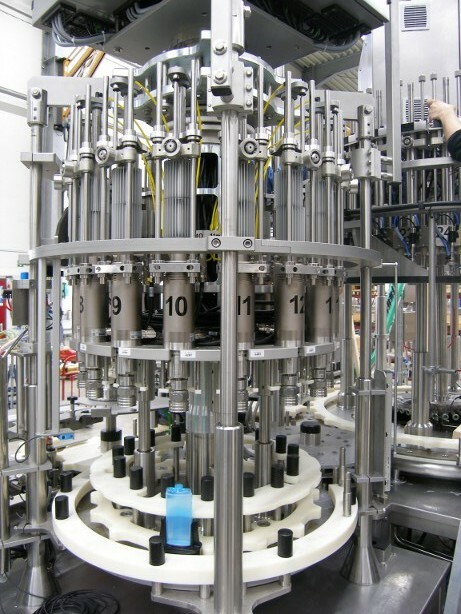 In order to control and monitor the tightening torque for each single bottle, the second-generation machines used servomotors for the rotary movement (linear cam plus servomotor). The third generation machines today use linear and rotary servo motors to control and monitor linear force and rotary torque applied during the capping process for each single product. On top of this, force and position feedback is used to verify presence of the cap and the final vertical cap position. To monitor all this data for a simple product like toothpaste may sound excessive, but as soon as it comes to medical or pharmaceutical products, it becomes indispensable for a producer to prove the quality and document each single production step for each single product. To find out more, read our case study on the use of linear-rotary motors in closure lines to enable frequent changeover. International companies and multinational groups are increasingly considering total cost of ownership when buying new production lines. Service and energy costs can become dominant in high productivity machines running two or three shifts a day. In almost all cases the cost for production loss during servicing of a production line is much higher than the service cost itself (not talking about the investment cost for the spare parts, which is normally a small part of the servicing costs). Rising energy prices during the last 10 years changed the priorities for the machine builders choosing the actuators. Compressed air always has been an expensive energy. But with rising energy costs, machine builders, end users and international groups are increasingly replacing the pneumatics with electric actuators (with much lower service and maintenance costs). We have previously published a case study showing the total cost calculation for the replacement of pneumatics. The final much reported trend is product customisation with some industry analysts predicting that to stay competitive companies will have to embrace customisation at every step in their processes. Machines will be increasingly designed with flexibility in mind allowing extremely short production change times, and the ability to store and document changes to guarantee that a product will be produced with the same quality as in the last production lot. With just in time production, production lot quantities became smaller and product changes on machines and production lines become more frequent. Flexible machine designs with very short product change times are possible with the use of linear motors. Using flexible and programmable electric actuators, different movements for different products may be stored in the machine control. Reducing the manual changes in the machine reduces setup time and will reduce material waste during setup, as all movements and production data for the new product are defined and stored in the machine control. Also further changes and improvements for each single product are automatically stored and documented in the machine control and will guarantee that a product will be produced with the same quality as in the last production lot. Machine developments are being driven by not just by technology but by regulation and customer needs. In future posts we will continue to cover new applications and case studies for this rapidly growing field and if you would like to be interviewed please contact us, we’d love to hear from you.